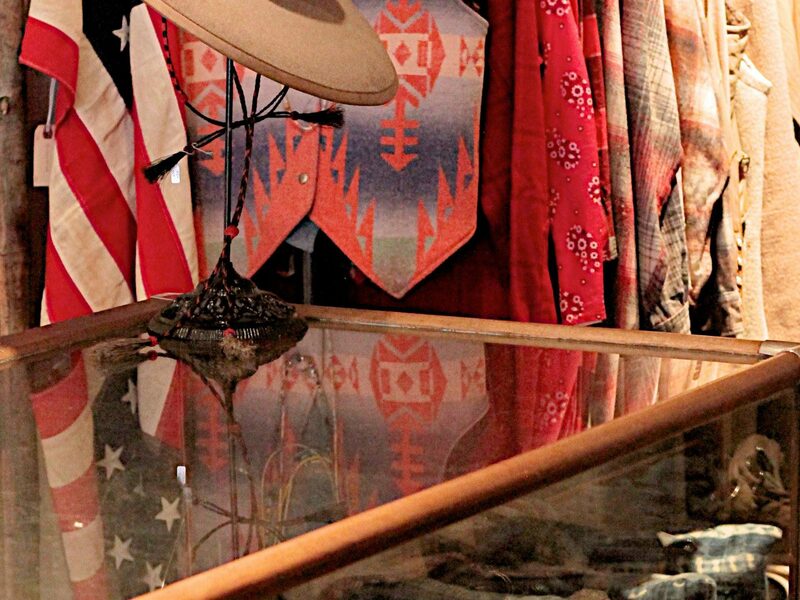 Back in 2005, tastemaker and boutique owner Emily Hoover opened Austin's Feathers Boutique Vintage, now a favorite stop for vintage lovers from around the globe. 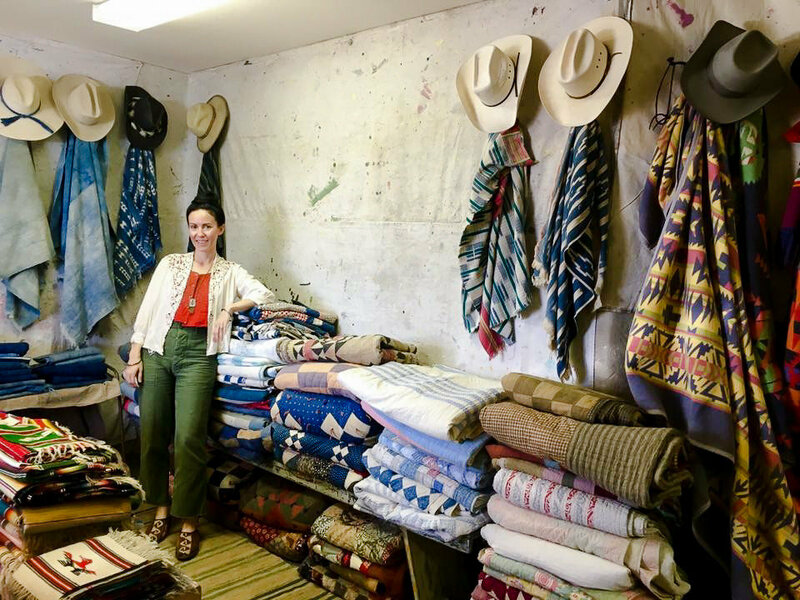 And while she still runs the store in Texas, it's her part-time home of Santa Fe, NM where she draws inspiration for her store and personal style. We talked to Hoover about what she loves most about the city, from shops and galleries to restaurants and hiking spots. 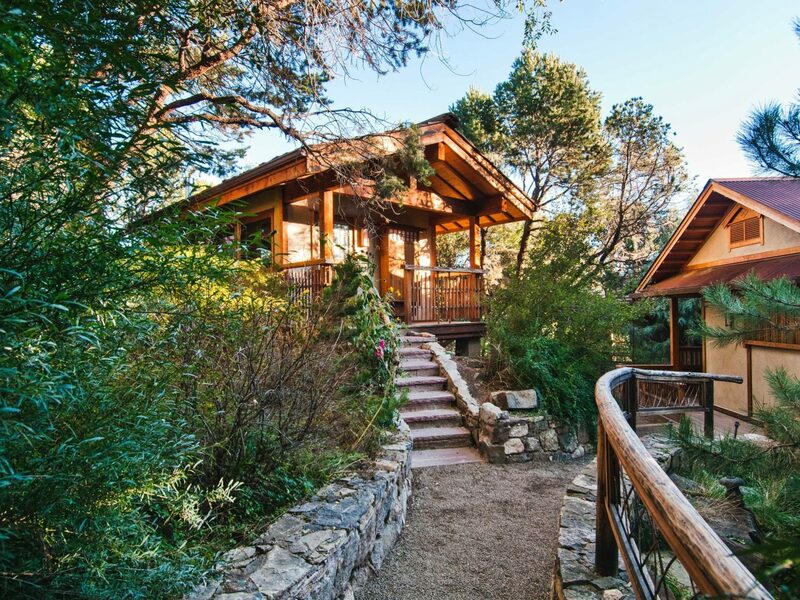 What do you love most about living and working in Santa Fe? 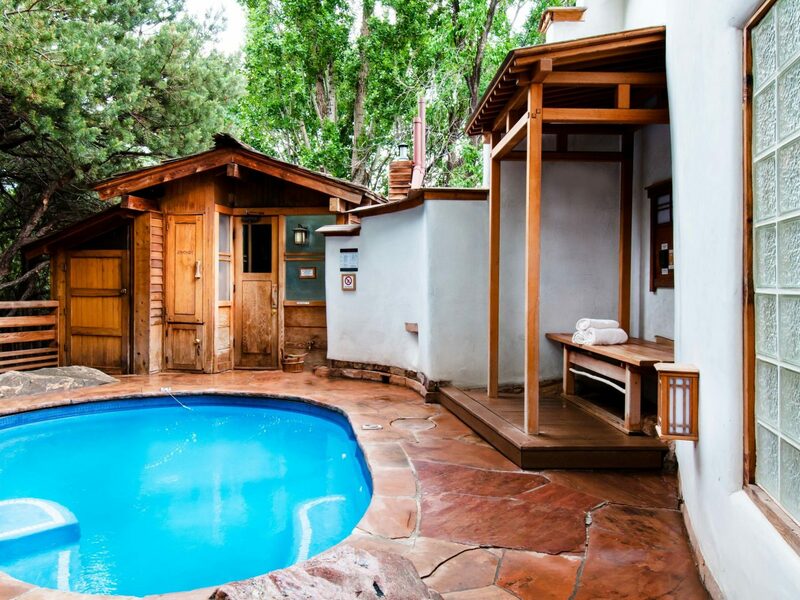 I split my time between Austin and Santa Fe, and while I love Austin, there’s something truly special about Santa Fe. The pace is slower, the mountains are majestic, and the sky is the brightest shade of blue that I’ve ever seen. The city reminds me to slow down and be present, and I find that very inspiring. What do you recommend first-timers do there? There are so many beautiful places here, I could easily write an entire book! 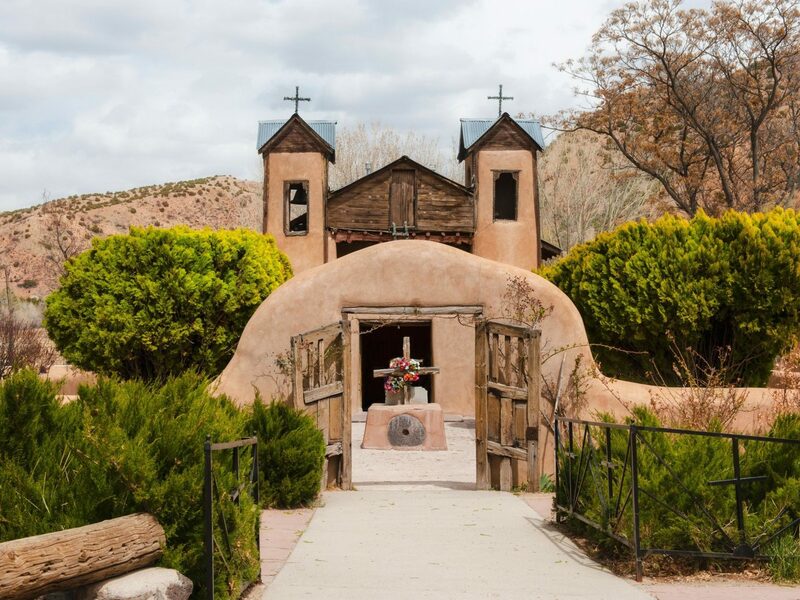 Chimayo is lovely and just a short 30 minute drive from Santa Fe. 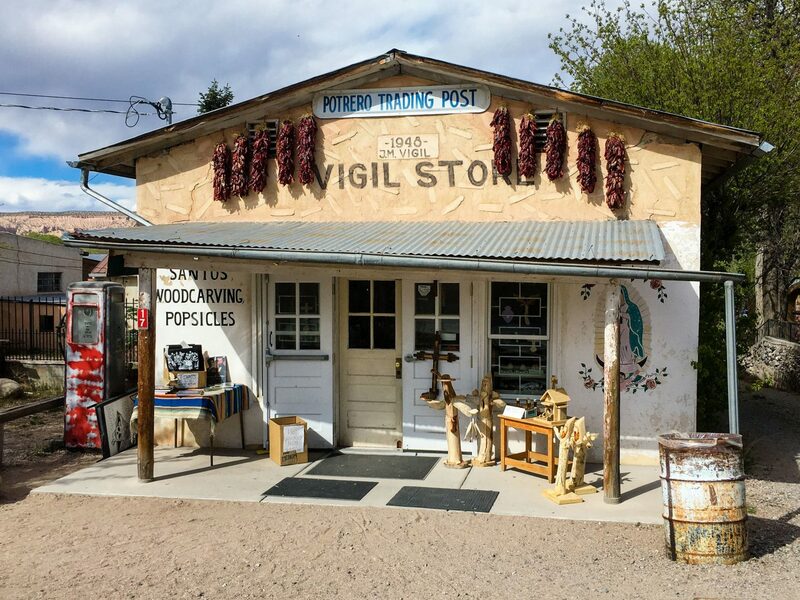 There is a beautiful sanctuary there worth seeing and at the Medina Gallery and Chile Shop, you can pick up some incredible Chimayo chili flakes and powders. 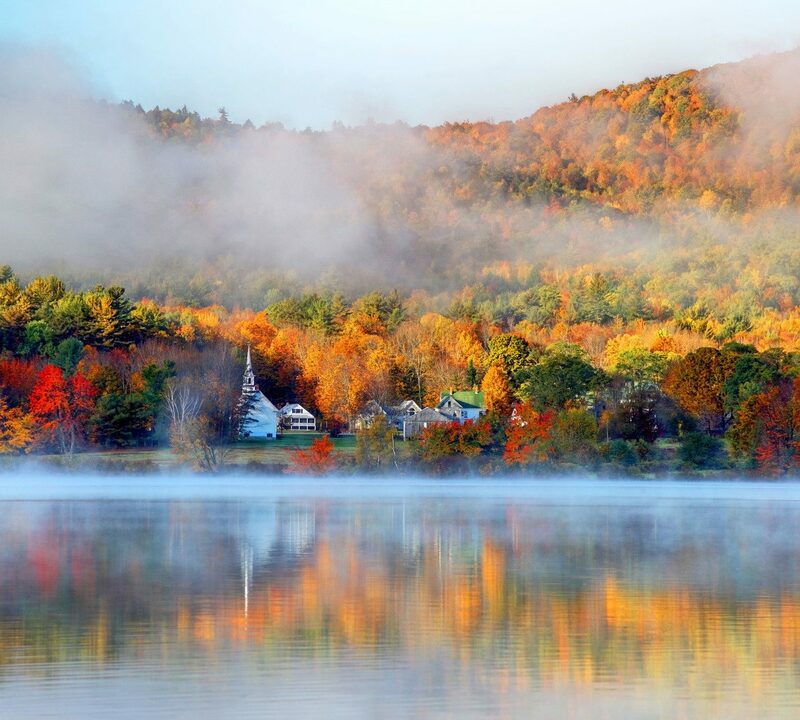 The town is also known for its centuries-old weaving traditions. 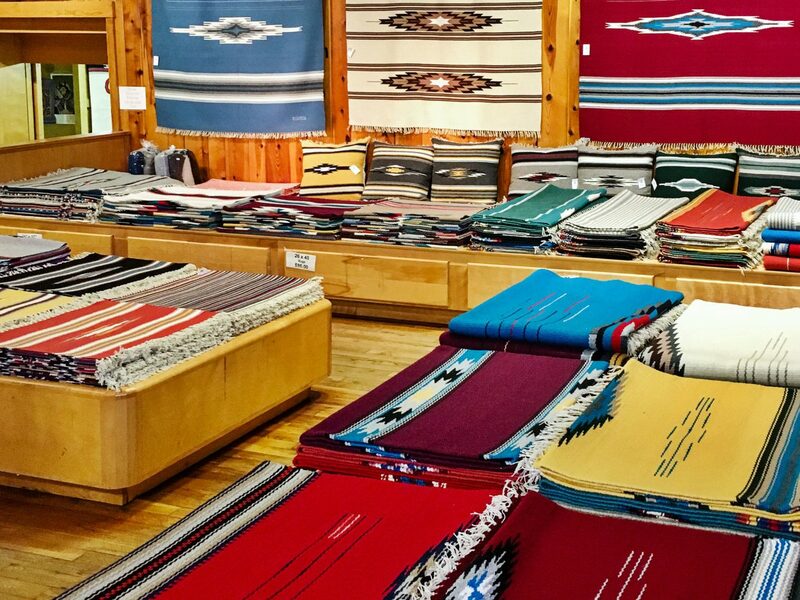 There are two galleries, Ortegas and Centinela where you can buy gorgeous handmade rugs, blankets and clothing. 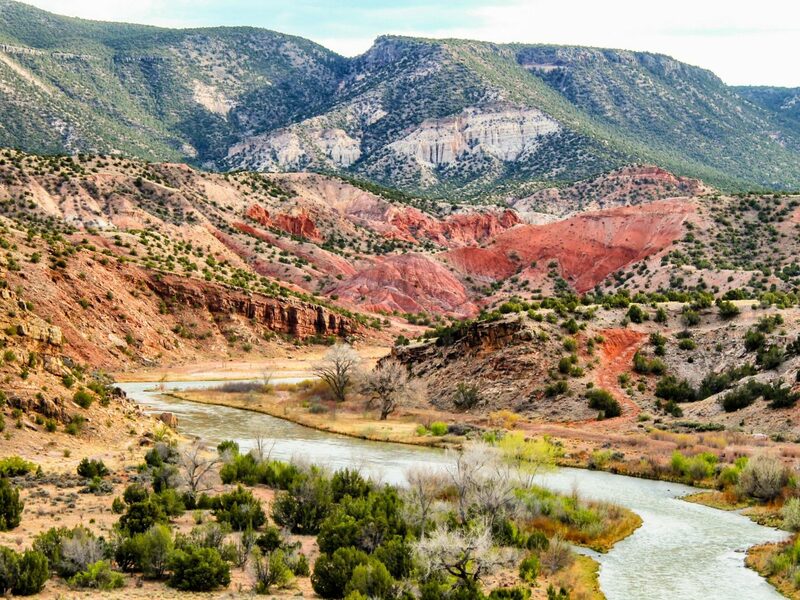 Bandelier National Monument is also a short drive north from Santa Fe, and features ancient cliff dwellings and petroglyphs. 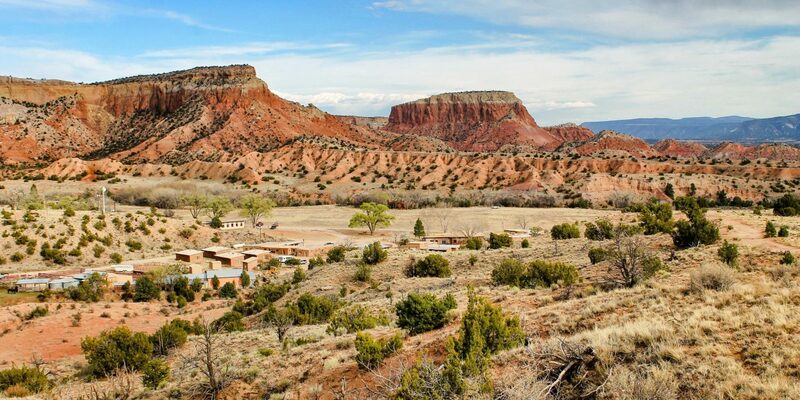 There are hiking trails where you can see ancient long houses, kevas and petroglyphs from nearly a millennium ago. You can even climb ladders to go inside the cliff dwellings to really experience how people once lived. Bring a picnic because it’s a perfect spot to relax outdoors. 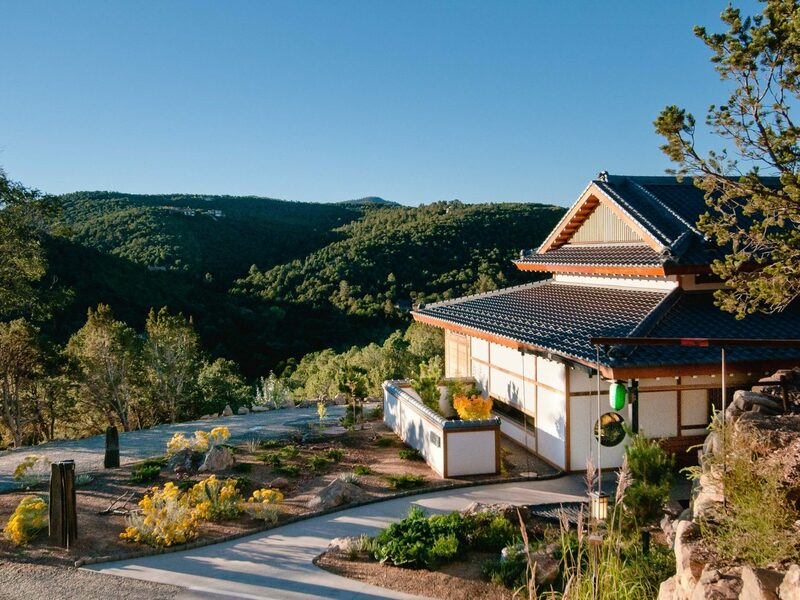 Ten Thousand Waves is a traditional Japanese-style spa and hotel tucked away on the side of a mountain. It is easily my favorite spot in Santa Fe. I have celebrated many events there including birthdays, my bachelorette party, and even my wedding night. 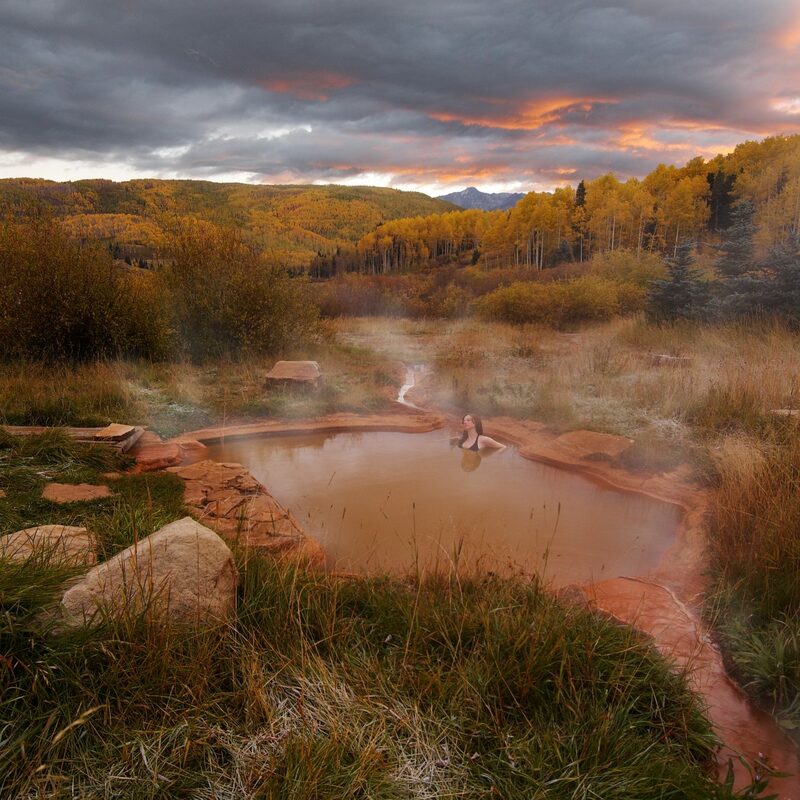 You can soak in their hot tubs, sweat in the sauna, relax in the meditation room, or jump in the cold plunge if you dare. The spa features an incredible menu of services, and the massage therapists are easily the best I’ve ever had. Afterwards, I like to go for a bite at the hotel restaurant Izanami, where they serve delicious Japanese farm-style dishes. Taco Fundacion is my go-to taqueria. My two absolute favorite tacos there are the fish and verduras. Teahouse, tucked away on the infamous Canyon Road, is a sweet little restaurant with incredible food and quite the extensive tea menu. Try the eggplant panini, and for dessert, the freshly baked gluten-free scone of the day, served with lemon curd and clotted cream. La Choza is a classic New Mexican restaurant with all the traditional dishes and bold spicy flavors. The vegetarian pozole is one of my favorite dishes on the menu. You can have your chili red or green, and you’ll get a fresh basket of sopapillas at the end of the meal. 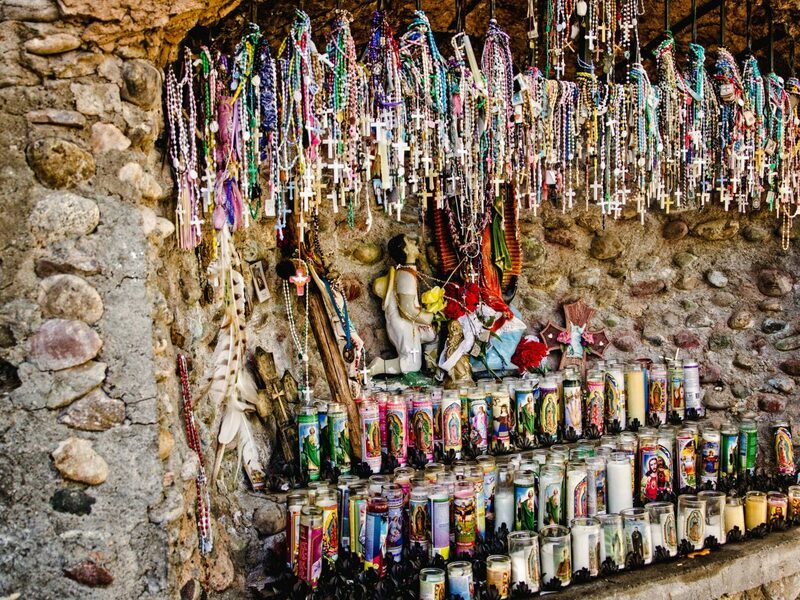 I’ve heard the shopping in Santa Fe is great. Any spots you recommend? Double Take is always my first stop. If you moved to town tomorrow and needed to fully outfit yourself and your home, this would be the place to do it (it’s two stories and nearly an entire city block long). Inside there are different sections featuring Western wear, Native American jewelry, vintage and designer clothing, and furniture and art. 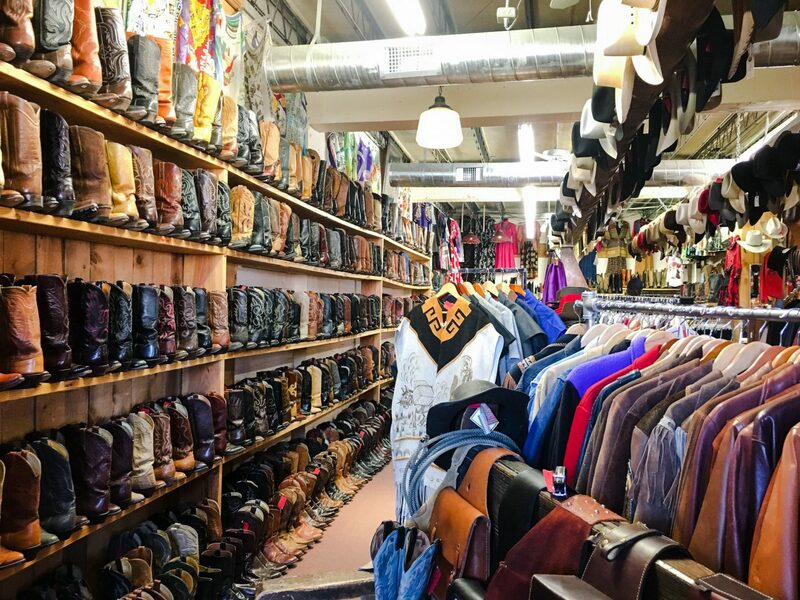 Don’t miss their collection of cowboy boots. Santa Fe Vintage is perfect for the true collector of fine and unique vintage. The owner Scott Corey splits his incredible collection between his downtown shop and his warehouse on the south side of town. The first time I walked into his warehouse, my jaw dropped to the floor. It has every style: biker, denim, military, and oh man, incredible workwear and tees! I once bought this navy 1930s floral blouse that I adore. 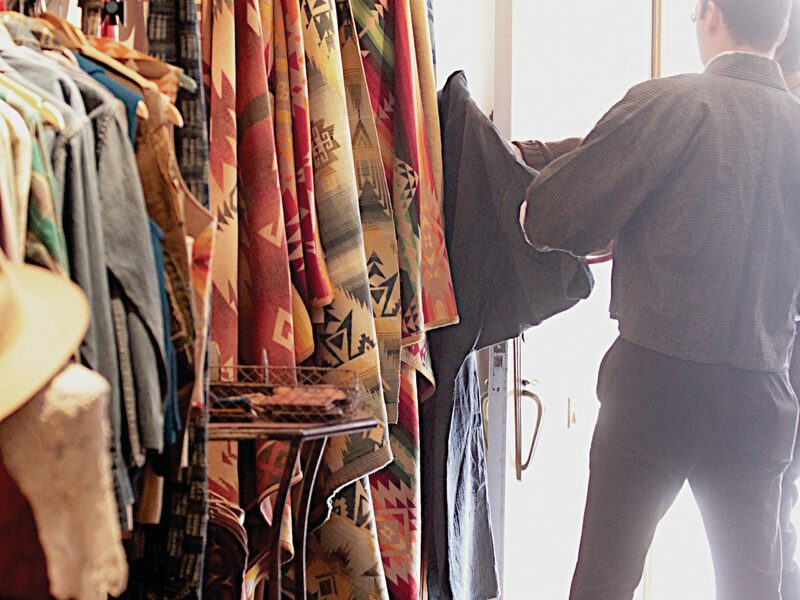 Rainbow Man, is another go-to shop, in Santa Fe Plaza. 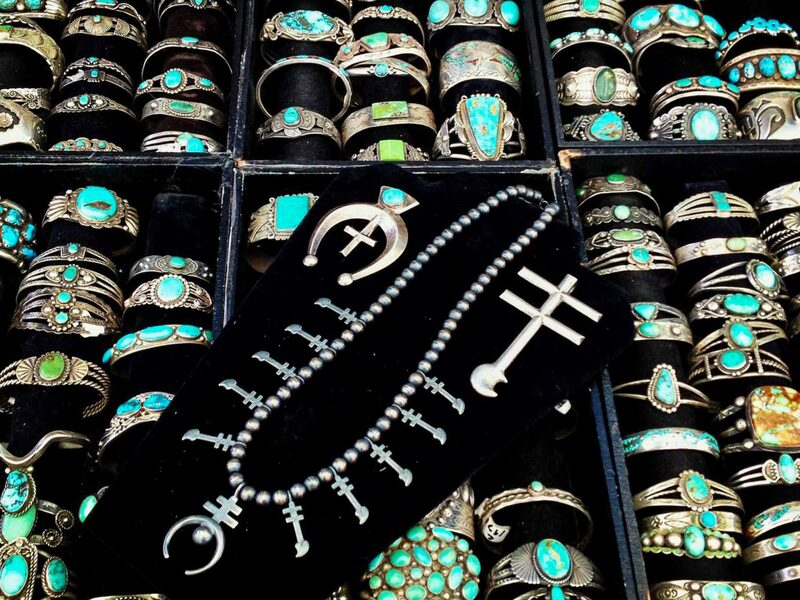 This is the place to go for vintage silver and turquoise, Navajo rugs, artwork, and so much more. My favorite room is in the back where they feature a collection of Edward Curtis photographs from the early 20th century. Anything else about Santa Fe we should know? 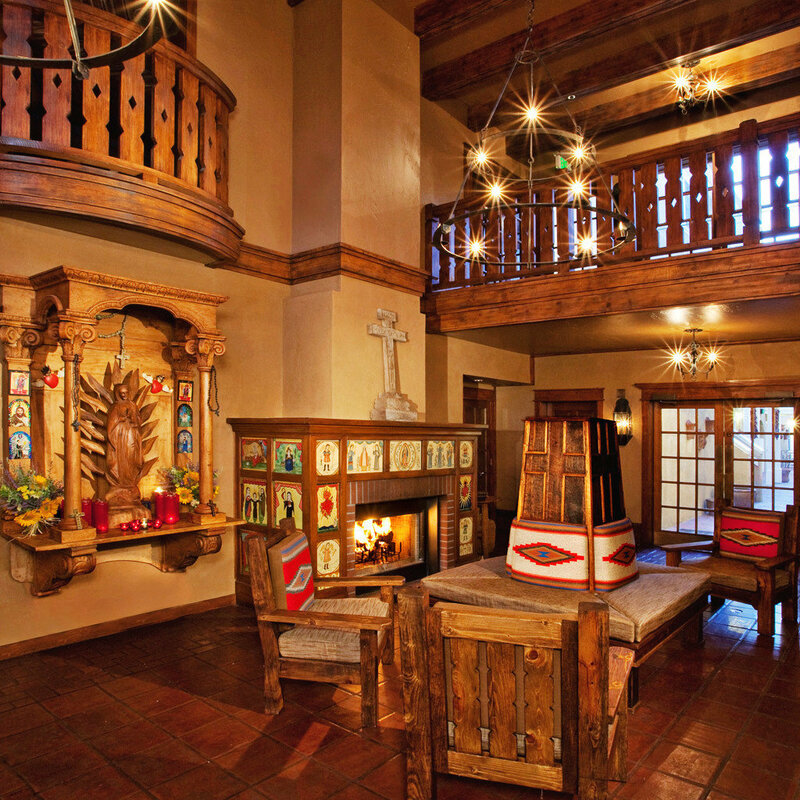 People travel from all over the world to shop the markets, galleries and shops in Santa Fe. 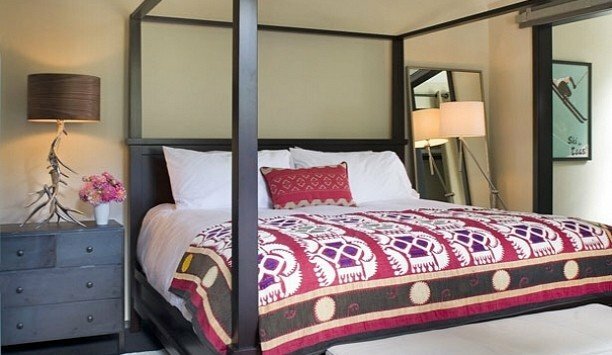 There really is something for everyone here–Persian rugs, rustic furniture, Native American pottery, artisan sculptures. I have learned so much about global textile traditions, and there is a huge community of local artists who set up at markets and galleries in town. 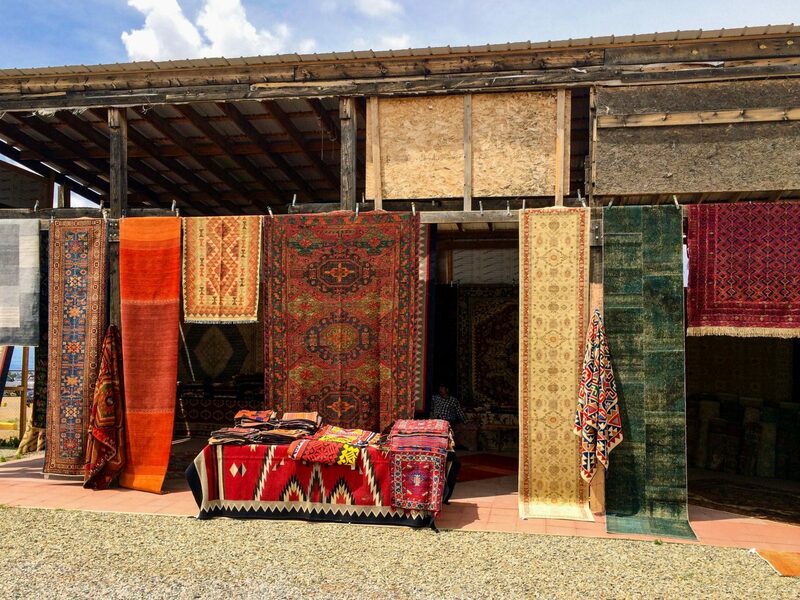 If you want to experience the world through ethnographic art, make sure to visit the Traveler’s Market. You’ll never forget it.